aka, “Brad’s first time cooking in 8 weeks”. It was SO NICE to have him back in the kitchen! 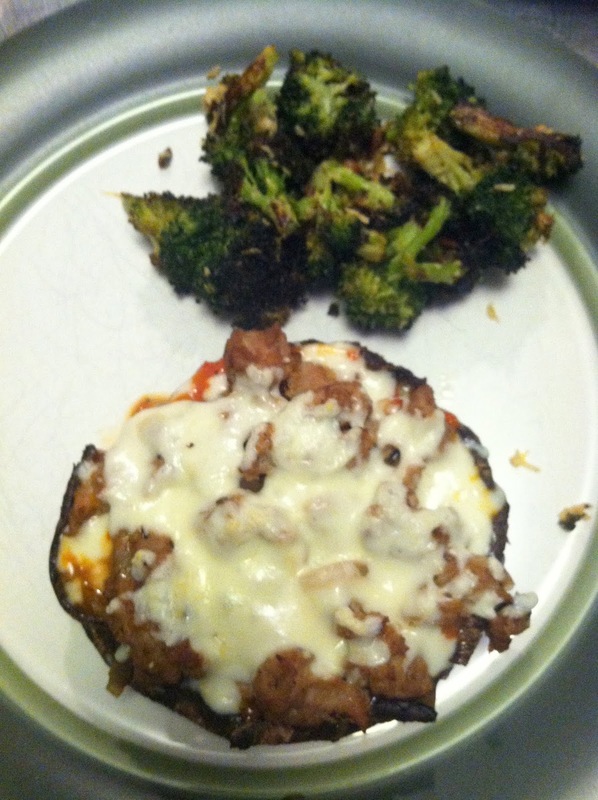 We had to do a lot of maneuvering for him to get semi-comfortable, and he had to take a break halfway through, but overall he made one of the best versions yet of portabello mushroom “pizzas”. These are mainly carb-free, super tasty, and pretty simple, too. Portabello mushroom caps make a great alternative base for recipes in which you’d otherwise use something with carbs, like a crust. 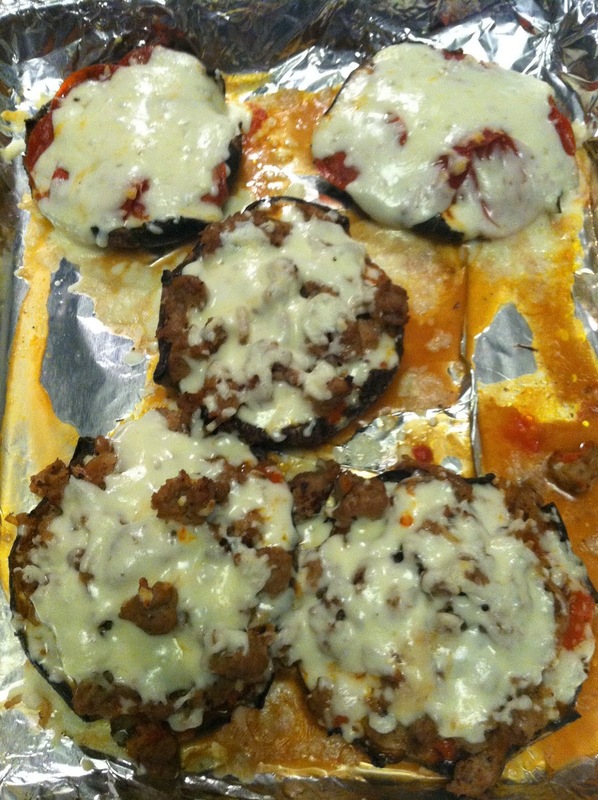 – toppings: cooked sausage, cooked turkey pepperoni, etc. 2. Wash the mushroom caps and pat dry. The best way to clean them is to wet a paper towel and clean each mushroom cap individually. That way, the mushrooms won’t retain the water they would if you cleaned them under a faucet. 3. 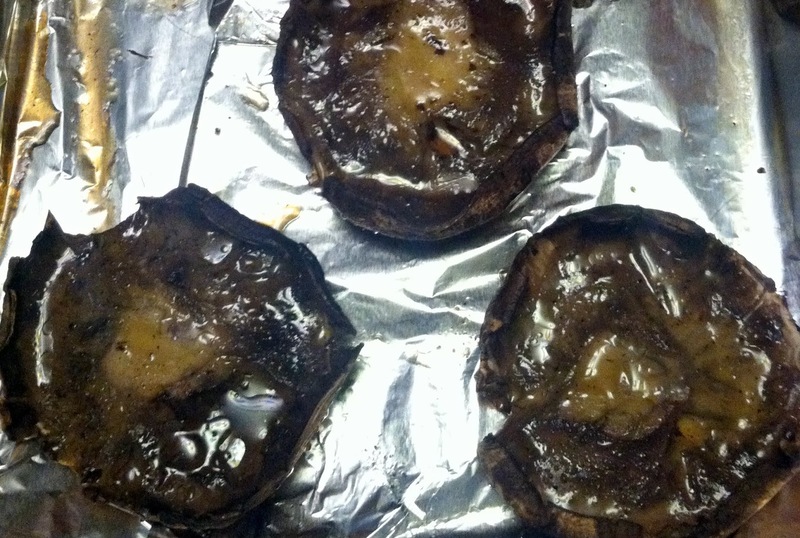 Place the washed mushroom caps on a baking sheet lined with foil, for easier cleanup. 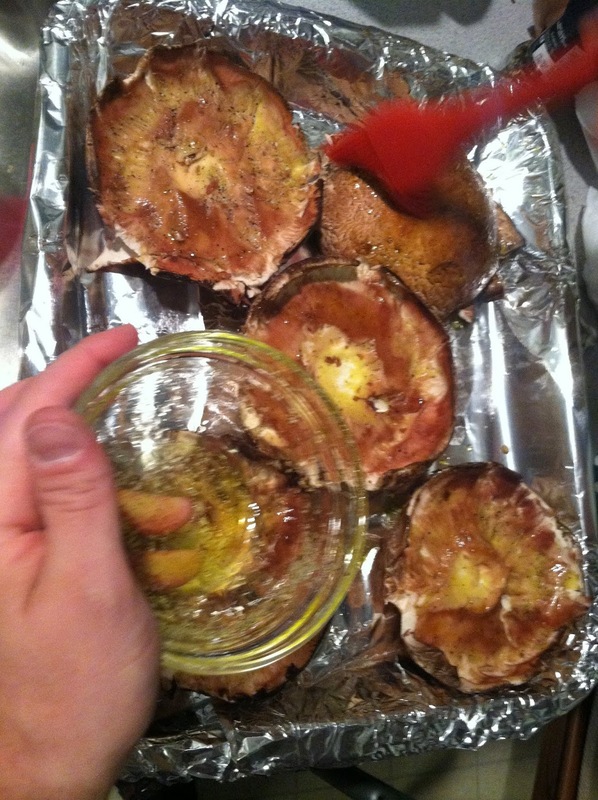 Combine the EVOO, garlic powder, salt and pepper in a small bowl, and brush the mixture all over the mushroom caps. 4. Bake the mushroom caps at 400 for approx. 5 minutes. 5. Remove from the oven, and add approx. 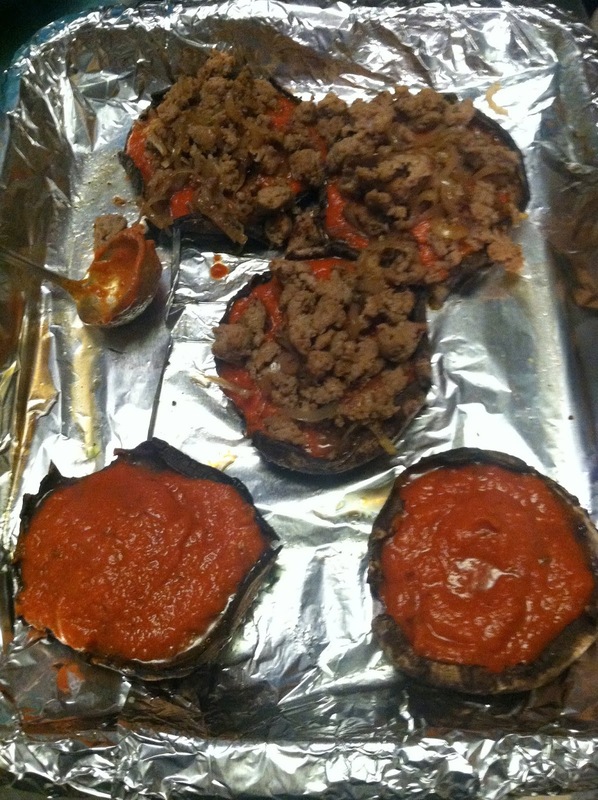 1/4 c. spaghetti sauce to each mushroom cap. 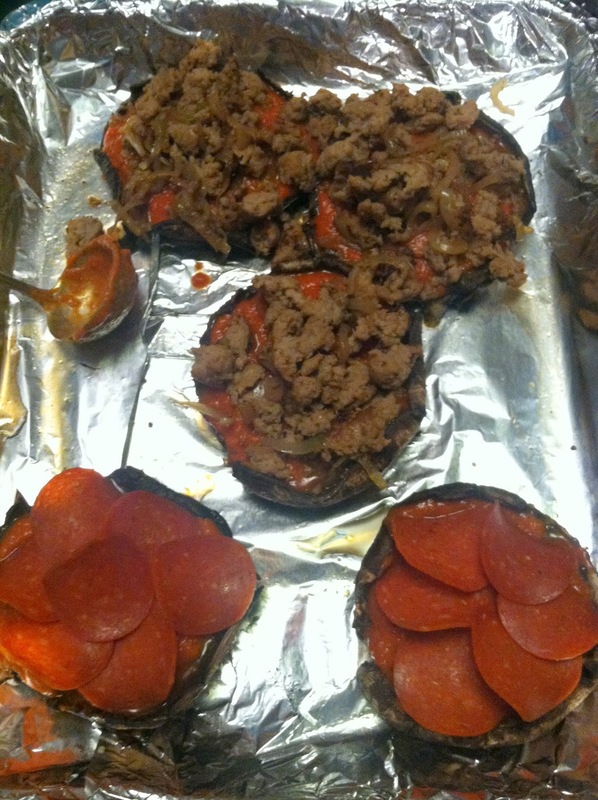 Top with cooked toppings – we used both cooked sausage and turkey pepperoni, and approx. 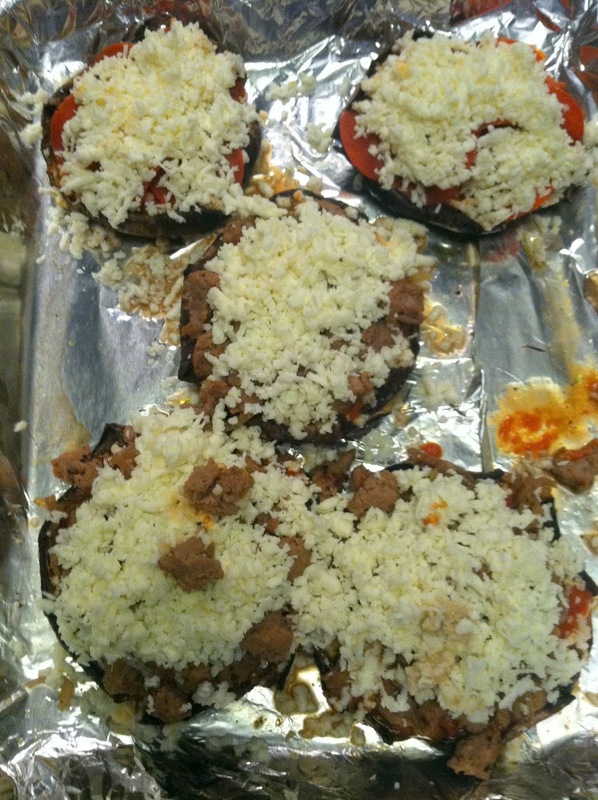 1/3 c. shredded cheese. 6. Bake at 400 for another 15 minutes or so, until cheese is melted and golden. 7. Serve on their own, or with a side like the Best Broccoli Ever. 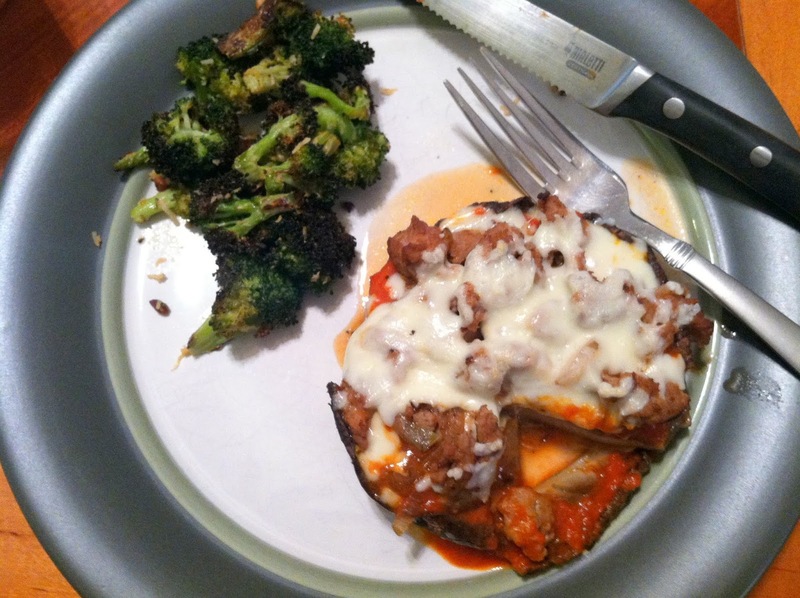 This entry was posted in carb-free, dinner, gluten-free, leftovers, mushrooms, pizza, vegetarian on November 27, 2012 by westyn. I generally think Valentine’s Day is totally overdone, but I’ve had two that were really terrific. One was when I was a little girl, and it was just me and my mom at the house – I’m not sure where my dad and Colly were. There was a huge snowstorm, and my mom and I bundled up and walked over to Januzzi’s, because I’d heard on the radio that they were making heart shaped pizzas for Valentine’s Day. We got our pizza and our rose and I had a nice snowy Valentine’s Day with my mom. So this year, I was telling her that story about a week before Valentine’s Day, and she tracked down a heart shaped pizza for me. Sweetest. Mom. Ever. This entry was posted in januzzi's, love, mom, pizza, valentine's day on February 15, 2011 by westyn.